ELITE ACADEMY was founded in 2010 by Bob Betts, a respected member of the security industry and qualified teacher, Bob was part of the original focus team for the SIA qualification’s framework in 2004 having been active in the industry since the mid 1990’s. With an exemplary military and home office career as a senior officer this provided an excellent background to undertake both a BA (hons) and Certificate in Education, which earned him a place as one of the original training providers for LOCOG at the 2012 games and thereafter a operational managers role for the Olympic Delivery Authority. 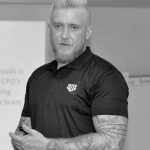 Writing one of the first Physical Intervention programmes approved for the Security Industry Bob established ELITE current position as one of the leading providers of Physical Intervention and control and restraint,working with over 500 companies both in the UK and worldwide. 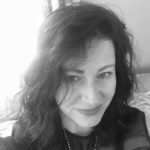 Bobs other roles in the industry include, directorship of the BSIA ( Training Section Chairman) , subject matter expert for the SIA, Health & Social Care and Education sectors and Awarding Organisations in the use of force and restraint. 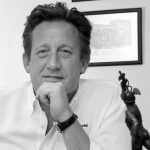 Bob has provided expert witness consultancy, advice and guidance to schools and hospitals and is well known for his informative and entertaining keynote speeches at security conferences. Since leaving the military Kyle has gained 7 years experience in international business, security operations, training, recruitment and management in Central and Eastern Europe, China, Africa and the Middle East. He Served 8 years military service with the Parachute Regiment / Special Forces Support Group, in direct support of UK Special Forces and other government agencies. He was part of several training teams world wide providing training and mentoring to foreign armies in Africa, Asia and The Middle East. Kyle possesses extensive experience in both executive and hostile environments all over the world with a vast understanding of foreign cultures and politics. 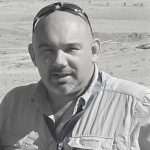 Luke has extensive experience managing multicultural staff to work in the international security industry with a focus on preparing personnel for working in hostile environments. 6 years military service with the Parachute Regiment as an operator in the United Kingdom Special Forces Support Group (SFSG), conducting numerous operational deployments directly alongside British Special Forces. Luke has been involved in the training and mentoring of foreign military, and the joint disruption of narcotics and weapon trafficking across Afghanistan. As Elite’s International Operations Director he co-ordinates both UK and worldwide Close Protection, Surveillance and risk management operations. Mat is Elites Chief Firearms instructor, he is a tier 1 operator and bodyguard for the State protection unit of the Government Republic of Moldova, including positions as personal bodyguard for two Presidents. Currently he is the tactical shooting instructor for Antiterrorist Centre of RM. 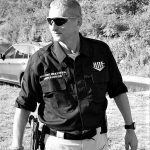 His awards include 3 times winner of the national, handgun, shotgun and rifle competition and winner of the international bodyguard championship. Mat holds the position of President of the Practical Shooting Association of RM, President of the Tactical Shooting Association of RM and President of the Dynamic Shooting Association of RM. John Allton Jones is Elites Non-Executive Director, an entrepreneur and leading business development specialist he brings an impressive portfolio of success and a wealth of experience in business growth, with a vision to build on Elites passion and unique teaching and training capability. 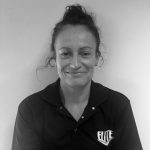 Emma is an ex British forces soldier who saw operational service with the REME across the world, upon leaving she joined the ambulance service and is currently in the role of pre-hospital care paramedic and a teacher for Elite. Mark started his working career in the IT industry in various large UK and international companies including the European Central Bank and Linklaters, one of the world’s largest corporate law firms providing technical support, coaching and problem solving of complex IT software issues to both employees of those companies and their stakeholders. 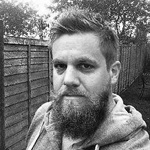 In 2005, he embarked on a new career in the UK NHS Ambulance Service, initially being employed as an Ambulance Technician and then qualifying as a HCPC Paramedic in 2008, he is now a member of the HART team. Mark has extensive first-hand experience of providing pre-hospital emergency health care on both front-line ambulances and rapid response vehicles responding to both traumatic and medical emergencies. 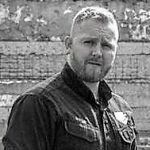 In addition to these vital skills, Mark has experience of working at a supervisory and managerial level providing county-wide operational bronze command of staff, logistics and management of large or complex incidents.In addition to his wide-ranging pre-hospital medical skillset, Mark is a fully qualified Close Protection Officer. Andy has some 28 years experience in the fields of intelligence, investigation & security in both government & commercial sectors, having held senior posts in both. He has conducted & managed both overt & covert investigations across the globe, often in complex & challenging environments such as Iraq, Afghanistan & Somalia. He has a wealth of experience in running investigation teams & security details, training & mentoring junior staff. Andy specialises in human trafficking, fraud & corruption investigations & running protective surveillance operations. 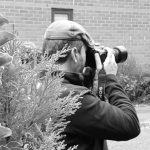 Elite has worked with Andy over several years & are excited he has agreed to deliver training with us, bringing a wealth of experience in running CP operations, investigation teams & specialist training.